This CleanFreak 17 inch floor buffer is a really well built machine! It can handle all of your professional cleaning needs. 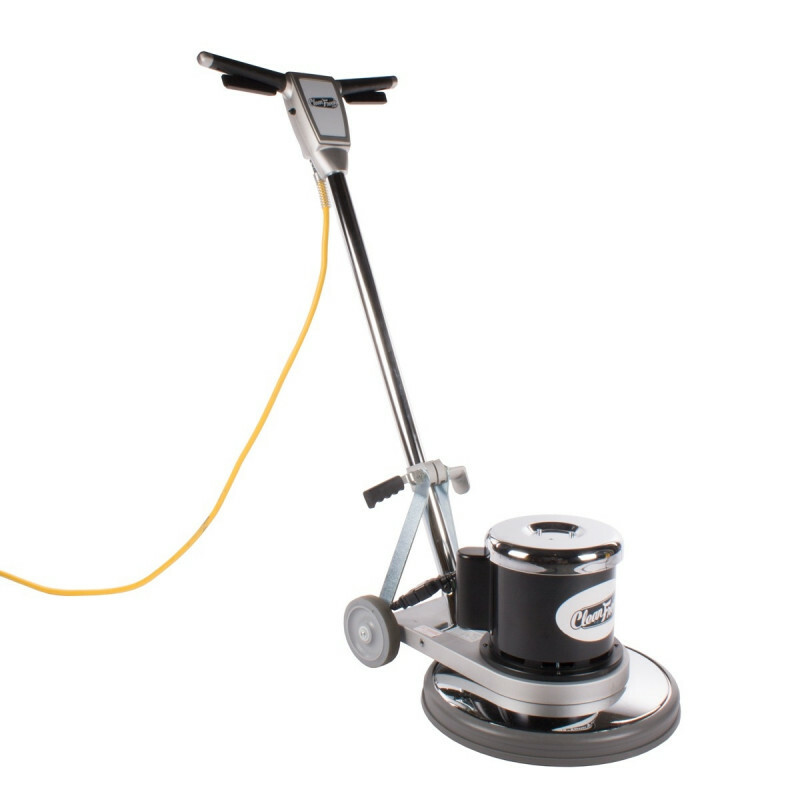 This best-selling, multi-purpose floor buffer polisher features an all metal chassis, an all steel triple planetary transmission, and a high-torque dual-capacitor motor that allows for use on both hard floor surfaces as well as carpeting. Backed by an industry leading 5 year warranty on the motor, shroud and frame, & 1 year on parts, we can't rave about this machine enough! 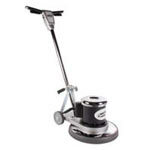 With a 1.5 HP, high torque rated, UL listed motor, you can use this buffer for just about any application from low speed buffing/polishing to stripping, scrubbing, and even carpet bonneting. You won't find another machine anywhere that is as reliable and visually appealing as this one is, within this price range. You simply can't get a better bang for your buck! Not sure if this is the right machine for your needs? Please feel free to do your due diligence, and take a look at what else we have to offer in our 17 inch floor buffers category. Heavy-duty UL listed 1.5 HP motor with dual capacitors powers this machine effortlessly through any cleaning job on hard floor or carpet. Triple planetary drive provides efficient power transfer for smooth operation and longer life. Durable all metal construction maintains superior durability through the life of the machine. Non-marking transport wheels make transport easy and protect floors, walls and baseboards from damage. Comes with an outstanding 5 year warranty on the motor, shroud and frame, & 1 year on parts.